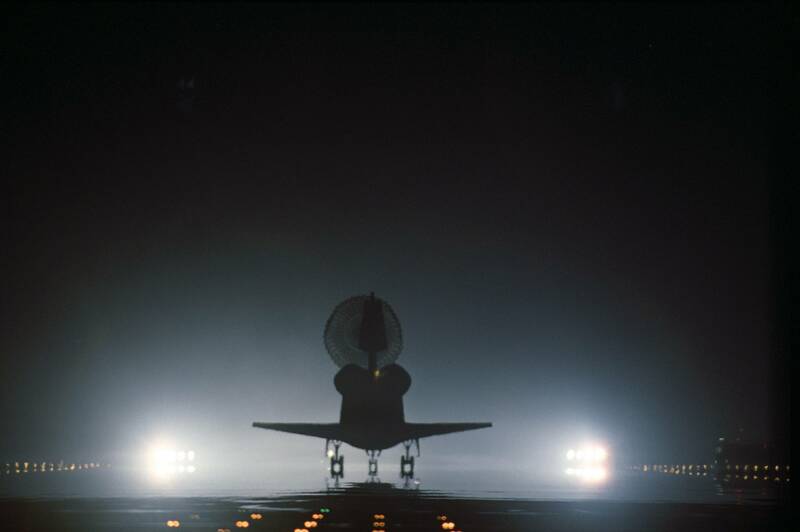 I have a night-landing photo of the Shuttle showing lights (I assume some type of glow-plug to burn off extraneous fuel). My understanding is that only the OMS engines burn to begin reentry. Can anyone confirm what it is that I'm seeing? It's simply the spotlights illuminating the ship, and shining up the bore of the engines. Notice the shadows of the vertical stabilizer from the same source. When the shuttle landing direction is determined, URS Corp. air traffic controllers in the runway control tower will communicate with Bordeaux and his team on the ground. Then two of the operators will light up eight Xenon lights, four on each side of one end of the runway, to illuminate the touchdown and rollout area from behind the shuttle. You can see that the gaps between the inboard and outboard elevons, and the square element at the base of the vertical stabilizer, are also brightly illuminated by the lights. You can read about the runway lights here (which is the source of the quote and the image). And here's a picture looking the other way, showing the lights. Not the answer you're looking for? Browse other questions tagged spacecraft space-shuttle engines or ask your own question. 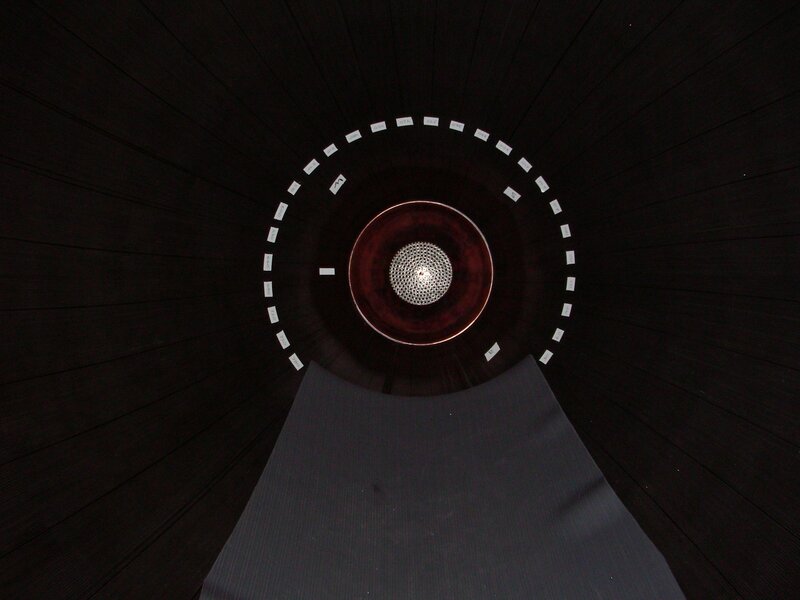 Why do Proton rockets use two types of main engines in its second stage? Is getting IN or OUT of orbit easier for the Space Shuttle?